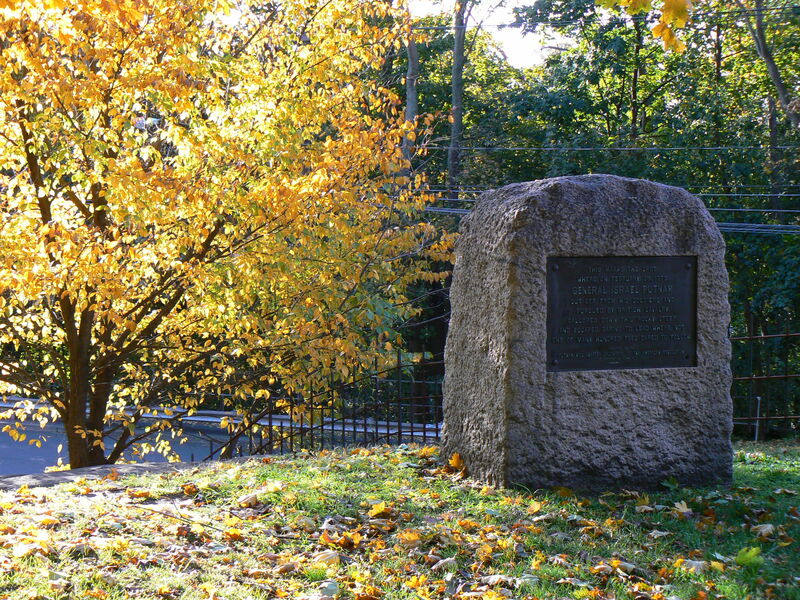 Greenwich honors the escape of Gen. Israel Putnam from British forces during the American Revolution with a monument on East Putnam Avenue (Route 1). 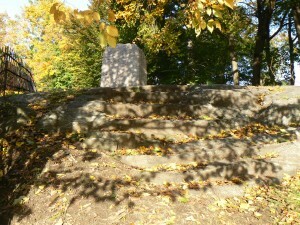 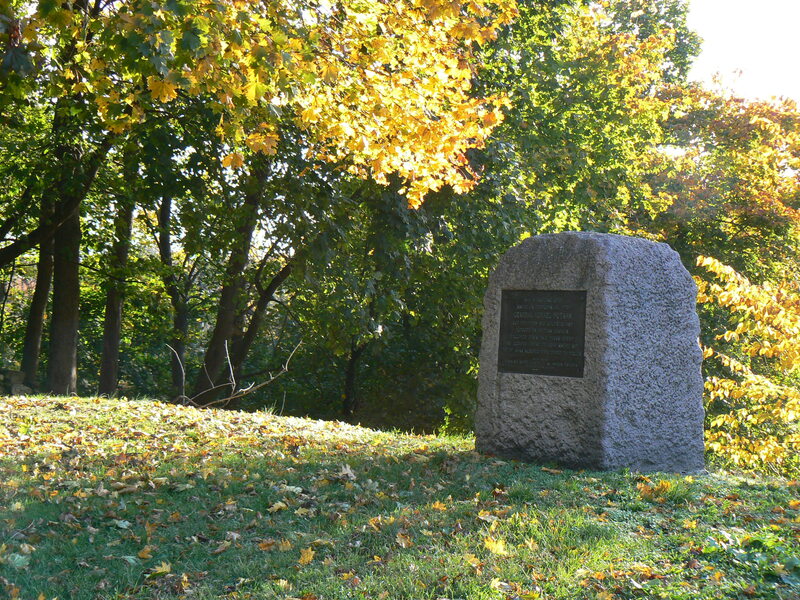 The monument stands at the top of a steep hill, near the corner of East Putnam Avenue and Old Church Road, down which Putnam reportedly rode as British forces invaded Greenwich. 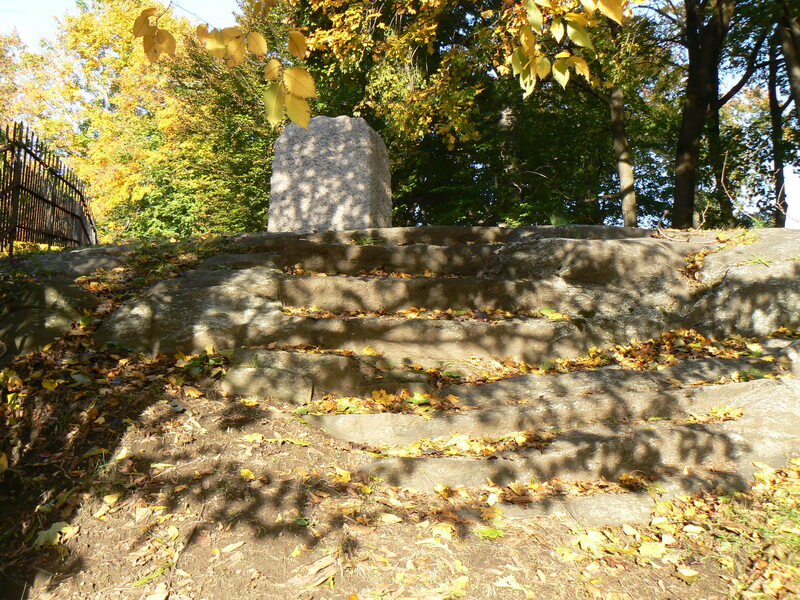 Accounts differ about the details of Putnam’s escape, and legends describing the event have been embellished enough over the years that figuring out what really happened is somewhat difficult. 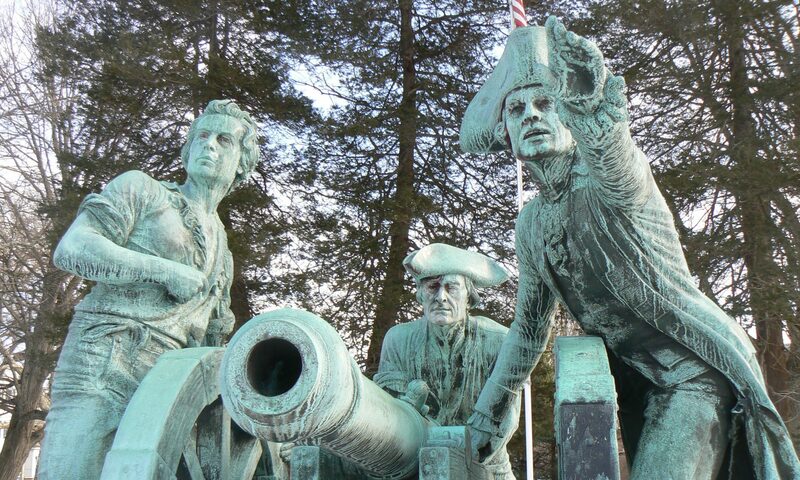 Most accounts agree Putnam rode down the hill as part of a retreat of outnumbered Continental forces stationed in Greenwich. 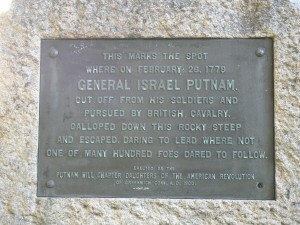 Putnam is believed to have been at nearby Knapp’s Tavern as British troops arrived. 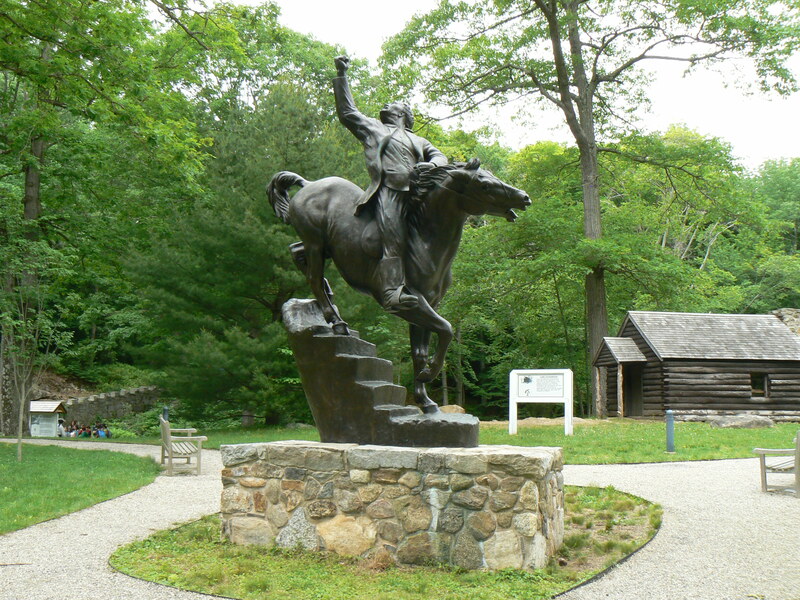 Putnam was heading to Stamford to gather reinforcements and warn residents when he rode his horse down a steep hillside into which crude steps had been carved. 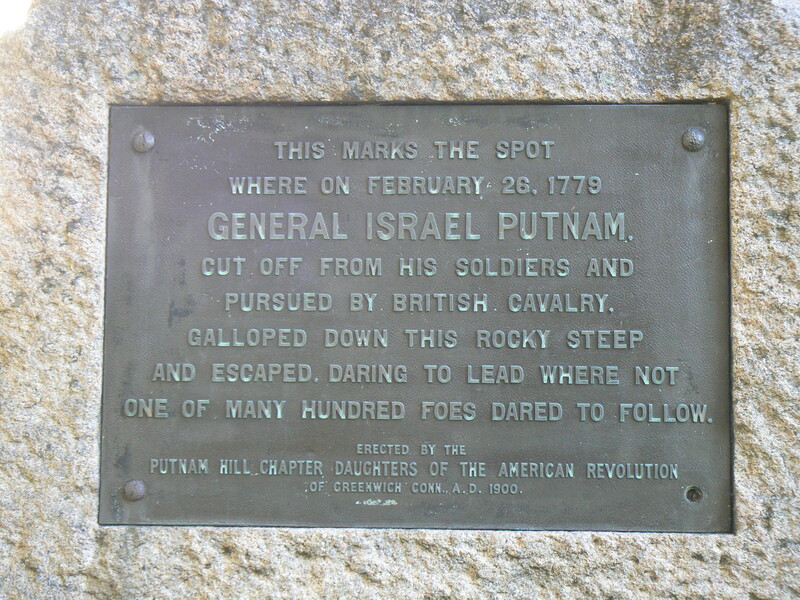 Most accounts have British cavalry deciding not to chase Putnam down the hillside, and some say a ball fired from a British pistol struck Putnam’s hat. 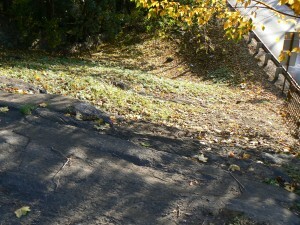 Standing at the top of the hillside, it looks like a pretty dangerous place to ride, especially on a cold February day. No doubt the horse wasn’t thrilled about the idea, either. 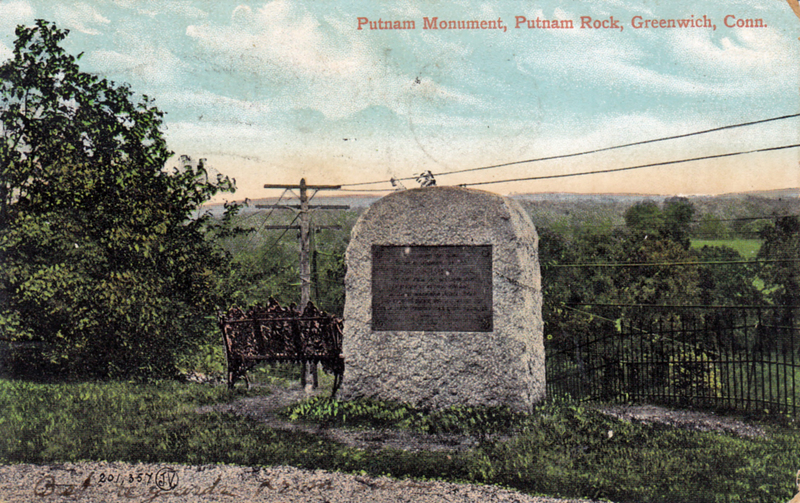 The vintage postcard near the bottom of this post depicts a since-removed bench overlooking the hillside. 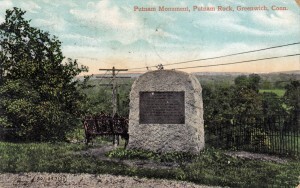 The fence visible in the postcard appears to be the same one at the site today. The event is commemorated in other locations as well. Knapp’s Tavern was converted in 1906 into the Putnam Cottage museum. A statue by Anna Hyatt Huntington in Putnam Memorial State Park depicts Putnam’s downhill escape from the British.